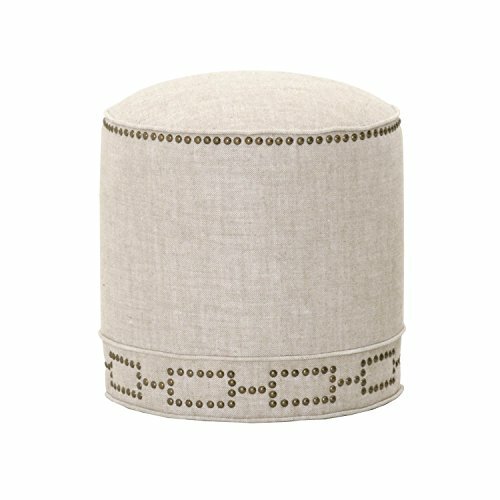 Orient Express Furniture Marlow round footstool - transitional style footstool featuring linen upholstery and individual nail head detail. If you have any questions about this product by Orient Express Furniture, contact us by completing and submitting the form below. If you are looking for a specif part number, please include it with your message.